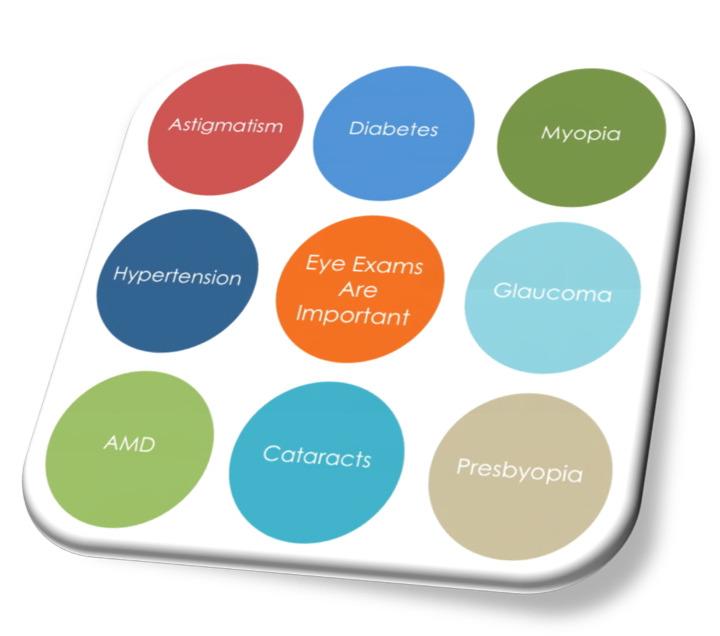 Routine eye exams by an optometrist are important to ensure proper eye health and perfect vision. Your optometrist can diagnosis and prescribe corrective lenses for common vision problems such as nearsightedness, farsightedness, astigmatism, and focusing problems. Your optometrist may also detect early warning signs of eye conditions and general health problems that may need to be addressed. So don’t forget to book your family and yourself in for your annual eye health exams.